NFMMC is a full-service, 171-bed regional medical center with extensive inpatient and outpatient services including The Heart Center of Niagara, Niagara Wellness Connection Center, Wound Center of Niagara, Niagara Metabolic & Bariatric Services, The OB/GYN Center and UBMD Orthopaedics & Sports Medicine. They also offer a comprehensive range of surgical services. They operate several satellite facilities including the Summit Healthplex, Tuscarora Health Center, primary care offices in Niagara Falls, Wheatfield, Town of Niagara, North Tonawanda and Grand Island and the Schoellkopf Health Center, a 120-bed skilled nursing facility that specializes in short-term rehabilitation and elder care. Their core mission: Improving the health of the Greater Niagara Region with a passion for excellence. NFMMC was one of PDCflow’s first healthcare clients to sign on after the creation of a customer user interface in 2005. Due to their early implementation of PDCflow Payment Hub services in early 2007, the hospital has been able to expand and scale their payment services along with their facilities and community reach. All methods of payment collection – employee entered payments, web and mobile initiated payments and recurring payments – have grown over the last decade. Any internet connected device can become a virtual terminal with the PDCflow Payment Hub. This allows NFMMC to add employee users and departments (with the ability to separate out reporting by location and department as needed). 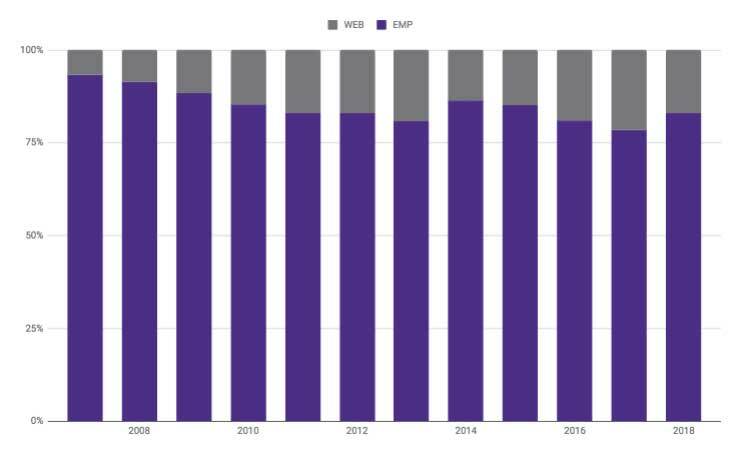 Since 2007, more consumers have moved to digital payments with debit and credit cards and patient payment responsibility has increased significantly. NFMMC was positioned to quickly and easily scale their digital payments with this change, accepting more patient responsibility payments. As a result, their digital payments have grown year-over-year at an average of 15.96%. 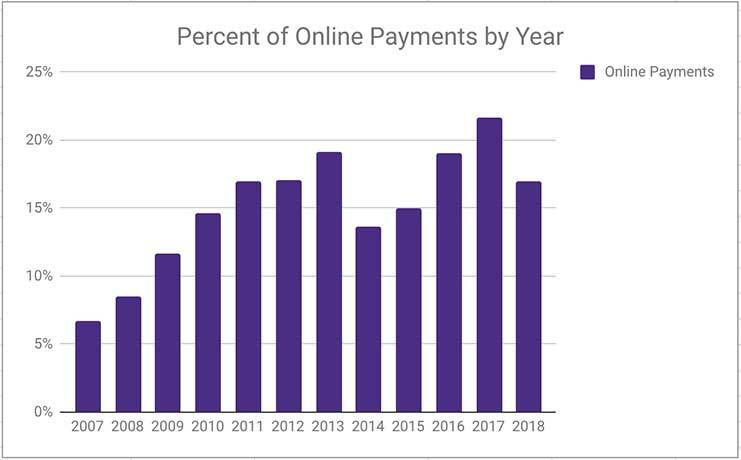 NFMMC opened up web payments to their patients immediately in 2007 and have seen this payment channel increase as a preferred method of payment each year since. Their self-serve payment growth has averaged 21.73% over the past ten years.